The United Kingdom of Great Britain and Northern Ireland , commonly known as the United Kingdom (UK) or Britain, is a sovereign state in Europe. Lying off the north-western coast of the European mainland, the country includes the island of Great Britain (a term also applied loosely to refer to the whole country), the north-eastern part of the island of Ireland, and many smaller islands. Northern Ireland is the only part of the UK that shares a land border with another state: the Republic of Ireland. [nb 5] Apart from this land border, the UK is surrounded by the Atlantic Ocean, with the North Sea in the east and the English Channel in the south. The Irish Sea lies between Great Britain and Ireland. The UK has an area of 243,610 square kilometres (94,060 sq mi), making it the 78th-largest sovereign state in the world and the 11th-largest in Europe. The relationships among the countries of the United Kingdom have changed over time. Wales was annexed by the Kingdom of England under the Acts of Union of 1536 and 1543. A treaty between England and Scotland resulted in a unified Kingdom of Great Britain in 1707, which in 1801, merged with the Kingdom of Ireland to form the United Kingdom of Great Britain and Ireland. In 1922, five-sixths of Ireland seceded from the country, leaving the present formulation of the United Kingdom of Great Britain and Northern Ireland. [nb 6] British Overseas Territories, formerly colonies, are the remnants of the British Empire which, at its height in the late 19th and early 20th centuries, encompassed almost a quarter of the world's land mass and was the largest empire in history. British influence can be observed in the language, culture, and legal systems of many of its former colonies. The United Kingdom is a World Trade Organization (WTO). The 1707 Acts of Union declared that the kingdoms of England and Scotland were "United into One Kingdom by the Name of Great Britain", though the new state is also referred to in the Acts as the "Kingdom of Great Britain", "United Kingdom of Great Britain" and "United Kingdom". [nb 7] However, the term "united kingdom" is only found in informal use during the 18th century and the country was only occasionally referred to as he "United Kingdom of Great Britain". The Acts of Union 1800 united the Kingdom of Great Britain and the Kingdom of Ireland in 1801, forming the United Kingdom of Great Britain and Ireland. The name "United Kingdom of Great Britain and Northern Ireland" was adopted following the independence of the Irish Free State, and the partition of Ireland, in 1922, which left Northern Ireland as the only part of the island of Ireland within the UK. Settlement by anatomically modern humans of what was to become the United Kingdom occurred in waves beginning by about 30,000 years ago. By the end of the region's prehistoric period, the population is thought to have belonged, in the main, to a culture termed Insular Celtic, comprising Brythonic Britain and Gaelic Ireland. The Roman conquest, beginning in 43 AD, and the 400-year rule of southern Britain, was followed by an invasion by Germanic Anglo-Saxon settlers, reducing the Brythonic area mainly to what was to become Wales and the historic Kingdom of Strathclyde. 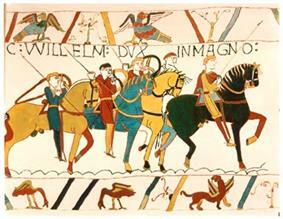 Most of the region settled by the Anglo-Saxons became unified as the Kingdom of England in the 10th century. Meanwhile, Gaelic-speakers in north west Britain (with connections to the north-east of Ireland and traditionally supposed to have migrated from there in the 5th century) united with the Picts to create the Kingdom of Scotland in the 9th century. During the 18th century, Britain was involved in the Atlantic slave trade. British ships transported an estimated 2 million slaves from Africa to the West Indies before banning the trade in 1807. The term 'United Kingdom' became official in 1801 when the parliaments of Britain and Ireland each passed an Act of Union, uniting the two kingdoms and creating the United Kingdom of Great Britain and Ireland. In the early 19th century, the British-led trade unions. 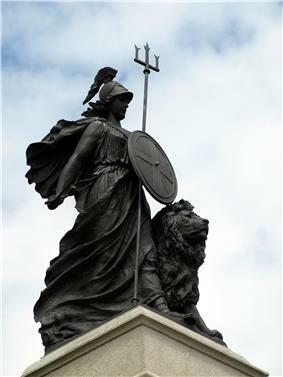 After the defeat of France in the Revolutionary and Napoleonic Wars (1792–1815), the UK emerged as the principal naval and imperial power of the 19th century (with London the largest city in the world from about 1830). Unchallenged at sea, British dominance was later described as Pax Britannica. 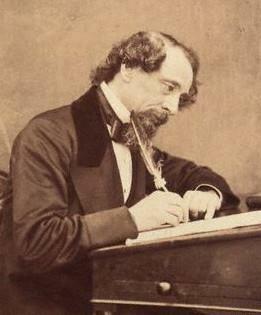 By the time of the Great Exhibition of 1851, Britain was described as the "workshop of the world". The British Empire was expanded to include India, large parts of Africa and many other territories throughout the world. Alongside the formal control it exerted over its own colonies, British dominance of much of world trade meant that it effectively controlled the economies of many countries, such as China, Argentina and Siam. Domestically, political attitudes favoured free trade and laissez-faire policies and a gradual widening of the voting franchise. During the century, the population increased at a dramatic rate, accompanied by rapid urbanisation, causing significant social and economic stresses. After 1875, the UK's industrial monopoly was challenged by Germany and the USA. To seek new markets and sources of raw materials, the Conservative Party under Disraeli launched a period of imperialist expansion in Egypt, South Africa and elsewhere. Canada, Australia and New Zealand became self-governing dominions. After the war, the UK received the League of Nations mandate over a number of former German and Ottoman colonies. The British Empire reached its greatest extent, covering a fifth of the world's land surface and a quarter of its population. However, the UK had suffered 2.5 million casualties and finished the war with a huge national debt. The rise of Irish Nationalism and disputes within Ireland over the terms of Irish Home Rule led eventually to the partition of the island in 1921, and the Irish Free State became independent with Dominion status in 1922. Northern Ireland remained part of the United Kingdom. A wave of strikes in the mid-1920s culminated in the UK General Strike of 1926. The UK had still not recovered from the effects of the war when the Great Depression (1929–32) occurred. This led to considerable unemployment and hardship in the old industrial areas, as well as political and social unrest in the 1930s. A coalition government was formed in 1931. The UK entered World War II by declaring war on Germany in 1939, after it had invaded Poland and Czechoslovakia. In 1940, Winston Churchill became prime minister and head of a coalition government. Despite the defeat of its European allies in the first year of the war, the UK continued the fight alone against Germany. In 1940, the RAF defeated the German Luftwaffe in a struggle for control of the skies in the Battle of Britain. The UK suffered heavy bombing during the Blitz. There were also eventual hard-fought victories in the Battle of the Atlantic, the North Africa campaign and Burma campaign. UK forces played an important role in the Normandy landings of 1944, achieved with its ally the US. After Germany's defeat, the UK was one of the Big Three powers who met to plan the post-war world; it was an original signatory to the Declaration of the United Nations. The UK became one of the five permanent members of the United Nations Security Council. However, the war left the UK severely weakened and depending financially on Marshall Aid and loans from the United States. Although the UK was the third country to develop a nuclear weapons arsenal (with its first atomic bomb test in 1952), the new post-war limits of Britain's international role were illustrated by the Suez Crisis of 1956. The international spread of the English language ensured the continuing international influence of its literature and culture. From the 1960s onward, its popular culture was also influential abroad. As a result of a shortage of workers in the 1950s, the UK government encouraged immigration from Commonwealth countries. In the following decades, the UK became a multi-ethnic society. Despite rising living standards in the late 1950s and 1960s, the UK's economic performance was not as successful as many of its competitors, such as West Germany and Japan. In 1973, the UK joined the European Economic Community (EEC), and when the EEC became the European Union (EU) in 1992, it was one of the 12 founding members. 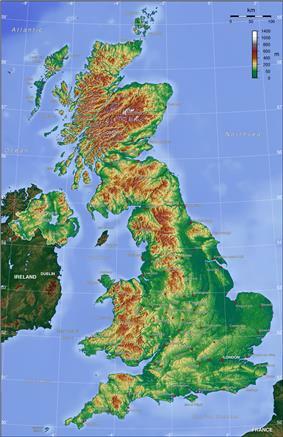 England accounts for just over half of the total area of the UK, covering 130,395 square kilometres (50,350 sq mi). Most of the country consists of lowland terrain, with mountainous terrain north-west of the Tees-Exe line; including the Cumbrian Mountains of the Lake District, the Pennines and limestone hills of the Peak District, Exmoor and Dartmoor. The main rivers and estuaries are the Thames, Severn and the Humber. England's highest mountain is Scafell Pike (978 metres (3,209 ft)) in the Lake District. Its principal rivers are the Severn, Thames, Humber, Tees, Tyne, Tweed, Avon, Exe and Mersey. Scotland accounts for just under a third of the total area of the UK, covering 78,772 square kilometres (30,410 sq mi) and including nearly eight hundred islands, predominantly west and north of the mainland; notably the Hebrides, Orkney Islands and Shetland Islands. The topography of Scotland is distinguished by the Highland Boundary Fault – a geological rock fracture – which traverses Scotland from Arran in the west to Stonehaven in the east. The faultline separates two distinctively different regions; namely the Highlands to the north and west and the lowlands to the south and east. The more rugged Highland region contains the majority of Scotland's mountainous land, including Ben Nevis which at 1,343 metres (4,406 ft) is the highest point in the British Isles. Lowland areas – especially the narrow waist of land between the Firth of Clyde and the Firth of Forth known as the Central Belt – are flatter and home to most of the population including Glasgow, Scotland's largest city, and Edinburgh, its capital and political centre. For local government purposes, Scotland is divided into 32 council areas, with wide variation in both size and population. The cities of Glasgow, Edinburgh, Aberdeen and Dundee are separate council areas, as is the Highland Council which includes a third of Scotland's area but only just over 200,000 people. Local councils are made up of elected councillors, of whom there are currently 1,222; they are paid a part-time salary. Elections are conducted by single transferable vote in multi-member wards that elect either three or four councillors. Each council elects a Provost, or Convenor, to chair meetings of the council and to act as a figurehead for the area. Councillors are subject to a code of conduct enforced by the Standards Commission for Scotland. 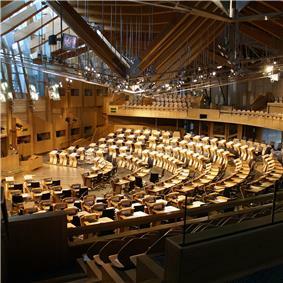 The representative association of Scotland's local authorities is the Convention of Scottish Local Authorities (COSLA). It is estimated that 95% of the UK's population are monolingual English speakers. 5.5% of the population are estimated to speak languages brought to the UK as a result of relatively recent immigration. South Asian languages, including Bengali, Tamil, Punjabi, Hindi and Gujarati, are the largest grouping and are spoken by 2.7% of the UK population. According to the 2011 census, Polish has become the second-largest language spoken in England and has 546,000 speakers. The United Kingdom has experienced successive waves of migration. The Great Famine in Ireland, then part of the United Kingdom, resulted in perhaps a million people migrating to Great Brtain. Unable to return to Poland at the end of World War II, over 120,000 Polish veterans remained in the UK permanently. After World War II, there was significant immigration from the colonies and newly independent former colonies, partly as a legacy of empire and partly driven by labour shortages. Many of these migrants came from the Caribbean and the Indian subcontinent. The British Asian population has increased from 2.2 million in 2001 to over 4.2 million in 2011. The UK government has introduced a points-based immigration system for immigration from outside the European Economic Area to replace former schemes, including the Scottish Government's Fresh Talent Initiative. In June 2010 the UK government introduced a temporary limit of 24,000 on immigration from outside the EU, aiming to discourage applications before a permanent cap was imposed in April 2011. The cap has caused tension within the coalition: business secretary Vince Cable has argued that it is harming British businesses. Whilst education in England is the responsibility of the Secretary of State for Education, the day-to-day administration and funding of state schools is the responsibility of local authorities. Universally free of charge state education was introduced piecemeal between 1870 and 1944. Education is now mandatory from ages five to sixteen (15 if born in late July or August). In 2011, the Trends in International Mathematics and Science Study (TIMSS) rated 13–14-year-old pupils in England and Wales 10th in the world for maths and 9th for science. The majority of children are educated in state-sector schools, a small proportion of which select on the grounds of academic ability. Two of the top ten performing schools in terms of GCSE results in 2006 were state-run grammar schools. Over half of students at the leading universities of Cambridge and Oxford had attended state schools. Despite a fall in actual numbers the proportion of children in England attending private schools has risen to over 7%. In 2010, more than 45% of places at the University of Oxford and 40% at the University of Cambridge were taken by students from private schools, even though they educate just 7% of the population. England has the two oldest universities in English-speaking world, Universities of Oxford and Cambridge (jointly known as "Oxbridge") with history of over eight centuries. The United Kingdom has 9 universities featured in the Times Higher Education top 100 rankings, making it second to the United States in terms of representation. Hitchens, Peter (2000). The Abolition of Britain: from Winston Churchill to Princess Diana. Second ed. San Francisco, Calif.: Encounter Books. xi, 332 p. ISBN 1-893554-18-X. Lambert, Richard S. (1964). The Great Heritage: a History of Britain for Canadians. House of Grant, 1964 (and earlier editions and/or printings). ^ a b c "List of declarations made with respect to treaty No. 148". ^ a b "Population Estimates for UK, England and Wales, Scotland and Northern Ireland, Mid-2013". Office for National Statistics. Retrieved 26 June 2014. ^ "2011 UK censuses". Office for National Statistics. Retrieved 17 December 2012. ^ a b c d "United Kingdom". International Monetary Fund. Retrieved 1 November 2014. ^ "2014 Human Development Report". 14 March 2013. pp. 22–25. Retrieved 27 July 2014. ^ "Definition of Great Britain in English". Oxford University Press. Retrieved 29 October 2014. Great Britain is the name for the island that comprises England, Scotland, and Wales, although the term is also used loosely to refer to the United Kingdom. ^ "Country Overviews: United Kingdom". Transport Research Knowledge Centre. Retrieved 28 March 2010. ^ "Key facts about the United Kingdom". ^ "Working with Overseas Territories". ^ Mathias, P. (2001). The First Industrial Nation: the Economic History of Britain, 1700–1914. London: Routledge. ^ Ferguson, Niall (2004). Empire: The rise and demise of the British world order and the lessons for global power. New York: Basic Books. ^ Sheridan, Greg (15 May 2010). "Cameron has chance to make UK great again". The Australian (Sydney). Retrieved 23 May 2011. ^ Dugan, Emily (18 November 2012). "Britain is now most powerful nation on earth". The Independent (London). Retrieved 18 November 2012. ^ a b "The 15 countries with the highest military expenditure in 2013 (table)" (PDF). ^ "Treaty of Union, 1706". Scots History Online. Retrieved 23 August 2011. ^ Barnett, Hilaire; Jago, Robert (2011). Constitutional & Administrative Law (8th ed.). Abingdon: Routledge. p. 165. ^ Cottrell, P. (2008). The Irish Civil War 1922–23. p. 85. ^ a b S. Dunn; H. Dawson (2000), An Alphabetical Listing of Word, Name and Place in Northern Ireland and the Living Language of Conflict, Lampeter: Edwin Mellen Press, One specific problem - in both general and particular senses - is to know what to call Northern Ireland itself: in the general sense, it is not a country, or a province, or a state - although some refer to it contemptuously as a statelet: the least controversial word appears to be jurisdiction, but this might change. ^ "Changes in the list of subdivision names and code elements". ISO 3166-2. International Organization for Standardization. 15 December 2011. Retrieved 28 May 2012. ^ Life in the United Kingdom: a journey to citizenship, p. 7, United Kingdom Home Office, 2007, ISBN 978-0-11-341313-3. ^ "Statistical bulletin: Regional Labour Market Statistics". Retrieved 5 March 2014. ^ "13.4% Fall In Earnings Value During Recession". Retrieved 5 March 2014. ^ Murphy, Dervla (1979). A Place Apart. London: Penguin. ^ "Guardian Unlimited Style Guide". London: Guardian News and Media Limited. 19 December 2008. Retrieved 23 August 2011. ^ "BBC style guide (Great Britain)". BBC News. 19 August 2002. Retrieved 23 August 2011. ^ "Key facts about the United Kingdom". Government, citizens and rights. HM Government. Retrieved 24 August 2011. ^ "Merriam-Webster Dictionary Online Definition of ''Great Britain''". ^ New Oxford American Dictionary: "Great Britain: England, Wales, and Scotland considered as a unit. The name is also often used loosely to refer to the United Kingdom." ^ "Great Britain". International Olympic Committee. Retrieved 10 May 2011. ^ "Team GB – Our Greatest Team". British Olympic Association. Retrieved 10 May 2011. ^ Bradley, Anthony Wilfred; Ewing, Keith D. (2007). Constitutional and administrative law 1 (14th ed.). Harlow: Pearson Longman. p. 36. ^ "Which of these best describes the way you think of yourself?". Northern Ireland Life and Times Survey 2010. ARK – Access Research Knowledge. 2010. Retrieved 1 July 2010. ^ Schrijver, Frans (2006). Regionalism after regionalisation: Spain, France and the United Kingdom. Amsterdam University Press. pp. 275–277. ^ Jack, Ian (11 December 2010). "Why I'm saddened by Scotland going Gaelic". The Guardian (London). ^ Koch, John T. (2006). Celtic culture: A historical encyclopedia. Santa Barbara, CA: ABC-CLIO. p. 973. ^ "Short Athelstan biography". BBC History. Retrieved 9 April 2013. ^ Campbell, Ewan (1999). Saints and Sea-kings: The First Kingdom of the Scots. Edinburgh: Canongate. pp. 8–15. ^ Haigh, Christopher (1990). 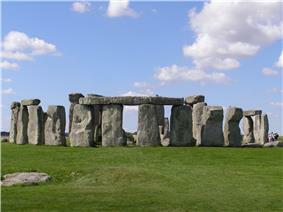 The Cambridge Historical Encyclopedia of Great Britain and Ireland. Cambridge University Press. p. 30. ^ Ganshof, F.L. (1996). Feudalism. University of Toronto. p. 165. ^ Chibnall, Marjorie (1999). The debate on the Norman Conquest. Manchester University Press. pp. 115–122. ^ The Reformation in England and Scotland and Ireland: The Reformation Period & Ireland under Elizabth I, Encyclopædia Britannica Online. ^ "British History in Depth – Wales under the Tudors". BBC History. 5 November 2009. Retrieved 21 September 2010. ^ Nicholls, Mark (1999). A history of the modern British Isles, 1529–1603: The two kingdoms. Oxford: Blackwell. pp. 171–172. ^ Canny, Nicholas P. (2003). Making Ireland British, 1580–1650. Oxford University Press. pp. 189–200. ^ "English Civil Wars". Encyclopaedia Britannica. Retrieved 28 April 2013. ^ "Scotland and the Commonwealth: 1651–1660". Archontology.org. 14 March 2010. Retrieved 20 April 2010. ^ Lodge, Richard (2007) . The History of England – From the Restoration to the Death of William III (1660–1702). Read Books. p. 8. ^ "Tudor Period and the Birth of a Regular Navy". Royal Navy History. Institute of Naval History. Retrieved 24 December 2010. ^ Canny, Nicholas (1998). The Origins of Empire, The Oxford History of the British Empire Volume I. Oxford University Press. ^ "Articles of Union with Scotland 1707". UK Parliament. Retrieved 19 October 2008. ^ "Acts of Union 1707". UK Parliament. Retrieved 6 January 2011. ^ "Treaty (act) of Union 1706". Scottish History online. Retrieved 3 February 2011. ^ Library of Congress, The Impact of the American Revolution Abroad, p. 73. ^ "The Act of Union". Act of Union Virtual Library. Retrieved 15 May 2006. ^ Porter, Andrew (1998). The Nineteenth Century, The Oxford History of the British Empire Volume III. Oxford University Press. p. 332. ^ Porter, Andrew (1998). The Nineteenth Century, The Oxford History of the British Empire Volume III. Oxford University Press. p. 8. ^ Marshall, P.J. (1996). The Cambridge Illustrated History of the British Empire. Cambridge University Press. pp. 156–57. ^ Tompson, Richard S. (2003). Great Britain: a reference guide from the Renaissance to the present. New York: Facts on File. p. 63. ^ Hosch, William L. (2009). 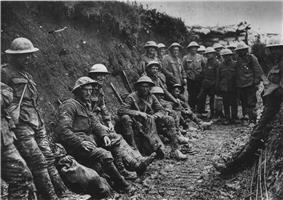 World War I: People, Politics, and Power. America at War. New York: Britannica Educational Publishing. p. 21. ^ "The Anglo-Irish Treaty, 6 December 1921". CAIN. Retrieved 15 May 2006. ^ "Britain to make its final payment on World War II loan from U.S.". The New York Times. 28 December 2006. Retrieved 25 August 2011. ^ Francis, Martin (1997). Ideas and policies under Labour, 1945–1951: Building a new Britain. Manchester University Press. pp. 225–233. ^ Lee, Stephen J. (1996). Aspects of British political history, 1914–1995. London; New York: Routledge. pp. 173–199. ^ Larres, Klaus (2009). A companion to Europe since 1945. Chichester: Wiley-Blackwell. p. 118. ^ Julios, Christina (2008). Contemporary British identity: English language, migrants, and public discourse. Studies in migration and diaspora. Aldershot: Ashgate. p. 84. ^ Aughey, Arthur (2005). The Politics of Northern Ireland: Beyond the Belfast Agreement. London: Routledge. p. 7. ^ "The troubles were over, but the killing continued. Some of the heirs to Ireland's violent traditions refused to give up their inheritance." Holland, Jack (1999). Hope against History: The Course of Conflict in Northern Ireland. New York: Henry Holt. p. 221. ^ Dorey, Peter (1995). British politics since 1945. Making contemporary Britain. Oxford: Blackwell. pp. 164–223. ^ Griffiths, Alan; Wall, Stuart (2007). Applied Economics (11th ed.). Harlow: Financial Times Press. p. 6. ^ Keating, Michael (1 January 1998). "Reforging the Union: Devolution and Constitutional Change in the United Kingdom". Publius: the Journal of Federalism 28 (1): 217. ^ Jackson, Mike (3 April 2011). "Military action alone will not save Libya". Financial Times (London). ^ "United Kingdom country profile". BBC. 24 January 2013. Retrieved 9 April 2013. ^ "Scotland to hold independence poll in 2014 – Salmond". BBC News. 10 January 2012. Retrieved 10 January 2012. ^ a b c d e f "United Kingdom". ^ a b c d e Latimer Clarke Corporation Pty Ltd. "United Kingdom – Atlapedia Online". Atlapedia.com. Retrieved 26 October 2010. ^ ROG Learing Team (23 August 2002). "The Prime Meridian at Greenwich". Royal Museums Greenwich. Royal Museums Greenwich. Retrieved 11 September 2012. ^ Neal, Clare. "How long is the UK coastline?". British Cartographic Society. Retrieved 26 October 2010. ^ "The Channel Tunnel". Eurotunnel. Retrieved 29 November 2010. ^ "Scotland Facts". Scotland Online Gateway. Archived from the original on 21 June 2008. Retrieved 16 July 2008. ^ Winter, Jon (19 May 2001). "The complete guide to Scottish Islands". The Independent (London). ^ "Overview of Highland Boundary Fault". Gazetteer for Scotland. University of Edinburgh. Retrieved 27 December 2010. 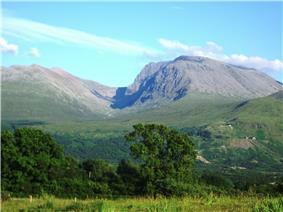 ^ "Ben Nevis Weather". Ben Nevis Weather. Retrieved 26 October 2008. ^ "Profile: Wales". BBC News. 9 June 2010. Retrieved 7 November 2010. ^ "Geography of Northern Ireland". 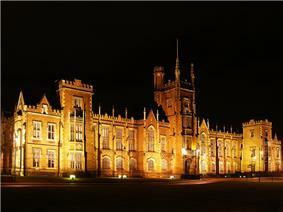 University of Ulster. Retrieved 22 May 2006. ^ "UK climate summaries". Met Office. Retrieved 1 May 2011. ^ Barlow, I.M. (1991). Metropolitan Government. London: Routledge. ^ "Welcome to the national site of the Government Office Network". Government Offices. Archived from the original on 15 June 2009. Retrieved 3 July 2008. ^ "A short history of London government". Greater London Authority. Archived from the original on 21 April 2008. Retrieved 4 October 2008. ^ "Local Authority Elections". Local Government Association. Retrieved 3 October 2008. ^ "STV in Scotland: Local Government Elections 2007". Political Studies Association. Archived from the original on 20 March 2011. Retrieved 2 August 2008. ^ Ethical Standards in Public Life framework: "Ethical Standards in Public Life". The Scottish Government. Retrieved 3 October 2008. ^ "Who we are". Convention of Scottish Local Authorities. Retrieved 5 July 2011. ^ "Local Authorities". The Welsh Assembly Government. Retrieved 31 July 2008. ^ "Local government elections in Wales". ^ "Welsh Local Government Association". Welsh Local Government Association. Retrieved 20 March 2008. ^ Devenport, Mark (18 November 2005). "NI local government set for shake-up". BBC News. Retrieved 15 November 2008. ^ "Foster announces the future shape of local government" (Press release). Northern Ireland Executive. 13 March 2008. Retrieved 20 October 2008. ^ "Local Government elections to be aligned with review of public administration" (Press release). Northern Ireland Office. 25 April 2008. Retrieved 2 August 2008. ^ "CIBC PWM Global – Introduction to The Cayman Islands". Cibc.com. 11 July 2012. Retrieved 17 August 2012. ^ Rappeport, Laurie. 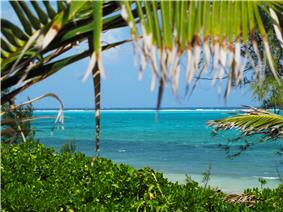 "Cayman Islands Tourism". Washington DC: USA Today Travel Tips. Retrieved 9 April 2013. ^ "Working with Overseas Territories". Foreign & Commonwealth Office. 6 October 2010. Retrieved 5 November 2010. ^ "Overseas Territories". Foreign & Commonwealth Office. Retrieved 6 September 2010. ^ "The World Factbook". CIA. Retrieved 26 December 2010. ^ "Country profiles". Foreign & Commonwealth Office. 21 February 2008. Retrieved 6 September 2010. ^ Davison, Phil (18 August 1995). "Bermudians vote to stay British". ^ The Committee Office, House of Commons. "House of Commons – Crown Dependencies – Justice Committee". Publications.parliament.uk. Retrieved 7 November 2010. ^ Fact sheet on the UK's relationship with the Crown Dependencies – gov.uk, Ministry of Justice. Retrieved 25 August 2014. ^ "Chief Minister to meet Channel Islands counterparts – Isle of Man Public Services" (Press release). Isle of Man Government. 29 May 2012. Retrieved 9 April 2013. ^ Bagehot, Walter (1867). The English Constitution. London: Chapman and Hall. p. 103. ^ Carter, Sarah. "A Guide To the UK Legal System". ^ "Parliamentary sovereignty". UK Parliament. n.d. Archived from the original on 27 May 2012. ^ "The Government, Prime Minister and Cabinet". Public services all in one place. ^ "Brown is UK's new prime minister". BBC News. 27 June 2007. Retrieved 23 January 2008. ^ "David Cameron is UK's new prime minister". BBC News. 11 May 2010. Retrieved 11 May 2010. ^ November 2010 "Elections and voting". UK Parliament. Archived from the original on 14 November 2010. Retrieved 14 November 2010. 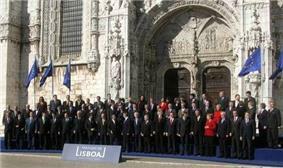 ^ November 2010 "The Parliament Acts". UK Parliament. Archived from the original on 14 November 2010. ^ "United Kingdom". European Election Database. Norwegian Social Science Data Services. Retrieved 3 July 2010. ^ Wainwright, Martin (28 May 2010). "Thirsk and Malton: Conservatives take final seat in parliament". The Guardian (London). Retrieved 3 July 2010. ^ "Scots MPs attacked over fees vote". BBC News. 27 January 2004. Retrieved 21 October 2008. ^ Taylor, Brian (1 June 1998). "Talking Politics: The West Lothian Question". BBC News. Retrieved 21 October 2008. ^ "'"England-only laws 'need majority from English MPs. BBC News. 25 March 2013. Retrieved 28 April 2013. ^ "Scotland's Parliament – powers and structures". BBC News. 8 April 1999. Retrieved 21 October 2008. ^ "Salmond elected as first minister". BBC News. 16 May 2007. Retrieved 21 October 2008. ^ "Structure and powers of the Assembly". BBC News. 9 April 1999. Retrieved 21 October 2008. ^ "Carwyn Jones clinches leadership in Wales". WalesOnline (Media Wales). 1 December 2009. Retrieved 1 December 2009. ^ "Devolved Government – Ministers and their departments". Northern Ireland Executive. Archived from the original on 22 August 2007. ^ Burrows, N. (1999). "Unfinished Business: The Scotland Act 1998". The Modern Law Review 62 (2): 241–60 [p. 249]. ^ Elliot, M. (2004). "United Kingdom: Parliamentary sovereignty under pressure". International Journal of Constitutional Law 2 (3): 545–627 [pp. 553–554]. ^ Walker, G. (2010). "Scotland, Northern Ireland, and Devolution, 1945–1979". Journal of British Studies 39 (1): 124 & 133. ^ Gamble, A. "The Constitutional Revolution in the United Kingdom". Publius 36 (1): 19–35 [p. 29]. ^ Meehan, E. (1999). "The Belfast Agreement—Its Distinctiveness and Points of Cross-Fertilization in the UK's Devolution Programme". Parliamentary Affairs 52 (1): 19–31 [p. 23]. 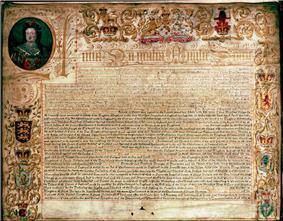 ^ "The Treaty (act) of the Union of Parliament 1706". Scottish History Online. Retrieved 5 October 2008. ^ "Constitutional reform: A Supreme Court for the United Kingdom". Department for Constitutional Affairs. July 2003. Retrieved 13 May 2013. ^ "Role of the JCPC". Judicial Committee of the Privy Council. Retrieved 28 April 2013. ^ Bainham, Andrew (1998). The international survey of family law: 1996. The Hague: Martinus Nijhoff. p. 298. ^ Adeleye, Gabriel; Acquah-Dadzie, Kofi; Sienkewicz, Thomas; McDonough, James (1999). World dictionary of foreign expressions. Waucojnda, IL: Bolchazy-Carducci. p. 371. ^ "The Australian courts and comparative law". Australian Law Postgraduate Network. Retrieved 28 December 2010. ^ "Court of Session – Introduction". Scottish Courts. Retrieved 5 October 2008. ^ "High Court of Justiciary – Introduction". Scottish Courts. Retrieved 5 October 2008. 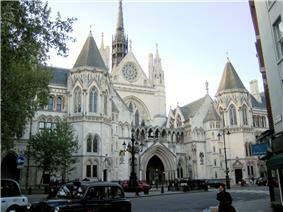 ^ "House of Lords – Practice Directions on Permission to Appeal". UK Parliament. Retrieved 22 June 2009. ^ "Introduction". Scottish Courts. Retrieved 5 October 2008. ^ Samuel Bray (2005). "Not proven: introducing a third verdict". The University of Chicago Law Review 72 (4): 1299. Retrieved 30 November 2013. ^ "Police-recorded crime down by 9%". BBC News. 17 July 2008. Retrieved 21 October 2008. ^ "New record high prison population". BBC News. 8 February 2008. Retrieved 21 October 2008. ^ "Crime falls to 32 year low" (Press release). Scottish Government. 7 September 2010. Retrieved 21 April 2011. ^ "Prisoner Population at Friday 22 August 2008". Scottish Prison Service. Retrieved 28 August 2008. ^ "Scots jail numbers at record high". BBC News. 29 August 2008. Retrieved 21 October 2008. ^ The Committee Office, House of Commons (19 February 2009). "DFID's expenditure on development assistance". UK Parliament. Retrieved 28 April 2013. ^ "Ministry of Defence". Ministry of Defence. Retrieved 21 February 2012. ^ "Speaker addresses Her Majesty Queen Elizabeth II". UK Parliament. 30 March 2012. Retrieved 28 April 2013. ^ "House of Commons Hansard". UK Parliament. Retrieved 23 October 2008. ^ "Principles for Economic Regulation". 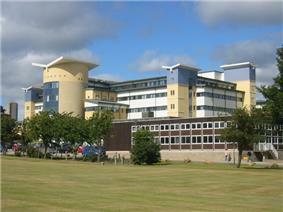 Department for Business, Innovation & Skills. April 2011. Retrieved 1 May 2011. ^ "United Kingdom". International Monetary Fund. Retrieved 1 October 2009. ^ Chavez-Dreyfuss, Gertrude (1 April 2008). "Global reserves, dollar share up at end of 2007-IMF". Reuters. Retrieved 21 December 2009. ^ "More About the Bank". Bank of England. n.d. Archived from the original on 12 March 2008. ^ "Index of Services (experimental)". Office for National Statistics. 7 May 2006. Archived from the original on 7 May 2006. ^ a b "Global Financial Centres 7". ^ a b "Worldwide Centres of Commerce Index 2008". Mastercard. Retrieved 5 July 2011. ^ a b Zumbrun, Joshua (15 July 2008). World's Most Economically Powerful Cities".""". Forbes (New York). Archived from the original on 19 May 2011. Retrieved 3 October 2010. ^ "Global city GDP rankings 2008–2025". PricewaterhouseCoopers. Archived from the original on 19 May 2011. Retrieved 16 November 2010. ^ Lazarowicz, Mark (Labour MP) (30 April 2003). "Financial Services Industry". UK Parliament. Retrieved 17 October 2008. ^ Bremner, Caroline (10 January 2010). "Euromonitor International's Top City Destination Ranking". Euromonitor International. Archived from the original on 19 May 2011. Retrieved 31 May 2011. ^ "From the Margins to the Mainstream – Government unveils new action plan for the creative industries". DCMS. 9 March 2007. Retrieved 9 March 2007. ^ a b "European Countries – United Kingdom". Europa (web portal). Retrieved 15 December 2010. ^ Harrington, James W.; Warf, Barney (1995). Industrial location: Principles, practices, and policy. London: Routledge. p. 121. ^ Spielvogel, Jackson J. (2008). Western Civilization: Alternative Volume: Since 1300. Belmont, CA: Thomson Wadsworth. ^ Hewitt, Patricia (15 July 2004). "TUC Manufacturing Conference". Department of Trade and Industry. Retrieved 16 May 2006. ^ "Industry topics". Society of Motor Manufacturers and Traders. 2011. Retrieved 5 July 2011. ^ "Facts & Figures – 2009". Aerospace & Defence Association of Europe. Retrieved 9 June 2011. ^ "UK Aerospace Industry Survey – 2010". ADS Group. Retrieved 9 June 2011. ^ "The Pharmaceutical sector in the UK". Department for Business, Innovation & Skills. Retrieved 9 June 2011. ^ "Ministerial Industry Strategy Group – Pharmaceutical Industry: Competitiveness and Performance Indicators". Department of Health. Retrieved 9 June 2011. ^ "UK in recession as economy slides". BBC News. 23 January 2009. Retrieved 23 January 2009. ^ Groom, Brian (19 January 2011). "UK youth unemployment reaches record". Financial Times (London). ^ "Release: EU Government Debt and Deficit returns". Office for National Statistics. March 2012. Retrieved 17 August 2012. ^ "UK loses top AAA credit rating for first time since 1978". BBC News. 23 February 2013. Retrieved 23 February 2013. ^ "Britain sees real wages fall 3.2%". Daily Express (London). 2 March 2013. ^ Beckford, Martin (5 December 2011). "Gap between rich and poor growing fastest in Britain". The Daily Telegraph (London). ^ "United Kingdom: Numbers in low income". The Poverty Site. Retrieved 25 September 2009. ^ "United Kingdom: Children in low income households". The Poverty Site. Retrieved 25 September 2009. ^ Glynn, S.; Booth, A. (1996). Modern Britain: An Economic and Social History. London: Routledge. ^ "The Nobel Prize in Physiology or Medicine 1945: Sir Alexander Fleming, Ernst B. Chain, Sir Howard Florey". The Nobel Foundation. Archived from the original on 21 June 2011. ^ "Alexander Graham Bell (1847–1922)". Scottish Science Hall of Fame. Archived from the original on 21 June 2011. ^ "John Logie Baird (1888–1946)". BBC History. Archived from the original on 21 June 2011. ^ "Knowledge, networks and nations: scientific collaborations in the twenty-first century". Royal Society. 2011. Archived from the original on 22 June 2011. ^ McCook, Alison. "Is peer review broken?". Reprinted from the Scientist 20(2) 26, 2006. Archived from the original on 21 June 2011. ^ a b "'"Heathrow 'needs a third runway. BBC News. 25 June 2008. Retrieved 17 October 2008. ^ a b "Statistics: Top 30 World airports" (Press release). Airports Council International. July 2008. Retrieved 15 October 2008. ^ "Transport Statistics Great Britain: 2010". Department for Transport. Archived from the original on 16 December 2010. ^ "Major new rail lines considered". BBC News. 21 June 2008. Archived from the original on 9 October 2010. ^ a b "Size of Reporting Airports October 2009 – September 2010". Civil Aviation Authority. Retrieved 5 December 2010. ^ "BMI being taken over by Lufthansa". BBC News. 29 October 2008. Retrieved 23 December 2009. ^ "United Kingdom Energy Profile". U.S. Energy Information Administration. Retrieved 4 November 2010. ^ Mason, Rowena (24 October 2009). "Let the battle begin over black gold". The Daily Telegraph (London). Retrieved 26 November 2010. ^ Heath, Michael (26 November 2010). "RBA Says Currency Containing Prices, Rate Level 'Appropriate' in Near Term". Bloomberg (New York). Retrieved 26 November 2010. ^ a b c "Nuclear Power in the United Kingdom". World Nuclear Association. April 2013. Retrieved 9 April 2013. ^ a b c "United Kingdom – Oil". U.S. Energy Information Administration. Retrieved 4 November 2010. ^ "Diminishing domestic reserves, escalating imports". EDF Energy. Retrieved 9 April 2013. ^ a b "United Kingdom – Natural Gas". U.S. Energy Information Administration. Retrieved 4 November 2010. ^ a b "United Kingdom – Quick Facts Energy Overview". U.S. Energy Information Administration. Retrieved 4 November 2010. ^ The Coal Authority (10 April 2006). "Coal Reserves in the United Kingdom". The Coal Authority. Archived from the original on 4 January 2009. Retrieved 5 July 2011. ^ "'"England Expert predicts 'coal revolution. BBC News. 16 October 2007. Retrieved 23 September 2008. ^ Watts, Susan (20 March 2012). "Fracking: Concerns over gas extraction regulations". BBC News. Retrieved 9 April 2013. ^ "Quit fracking aboot". Friends of the Earth Scotland. Retrieved 9 April 2013. ^ "Census Geography". Office for National Statistics. 30 October 2007. Archived from the original on 4 June 2011. Retrieved 14 April 2012. ^ "Welcome to the 2011 Census for England and Wales". Office for National Statistics. n.d. Retrieved 11 October 2008. ^ a b c "2011 Census: Population Estimates for the United Kingdom". Office for National Statistics. 27 March 2011. Retrieved 18 December 2012. ^ a b c "Annual Mid-year Population Estimates, 2010". ^ Batty, David (30 December 2010). "One in six people in the UK today will live to 100, study says". The Guardian (London). ^ a b "2011 UK censuses". Office for National Statistics. Retrieved 18 December 2012. 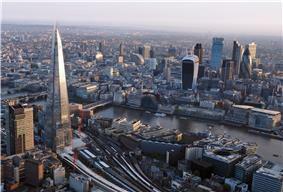 ^ "Population: UK population grows to 59.6 million" (Press release). Office for National Statistics. 24 June 2004. Archived from the original on 22 July 2004. Retrieved 14 April 2012. ^ Khan, Urmee (16 September 2008). "England is most crowded country in Europe". The Daily Telegraph (London). Retrieved 5 September 2009. ^ Carrell, Severin (17 December 2012). "Scotland's population at record high". The Guardian. London. Retrieved 18 December 2012. ^ a b c "Vital Statistics: Population and Health Reference Tables (February 2014 Update): Annual Time Series Data". ^ Boseley, Sarah (14 July 2008). "The question: What's behind the baby boom?". The Guardian (London). p. 3. Retrieved 28 August 2009. ^ Tables, Graphs and Maps Interface (TGM) table. Eurostat (26 February 2013). Retrieved 12 July 2013. ^ Campbell, Denis (11 December 2005). "3.6m people in Britain are gay – official". The Observer (London). Retrieved 28 April 2013. ^ "Belfast Metropolitan Urban Area NISRA 2005". Retrieved 28 April 2013. ^ "Welsh people could be most ancient in UK, DNA suggests". BBC News. 19 June 2012. Retrieved 28 April 2013. ^ Thomas, Mark G. et al. "Evidence for a segregated social structure in early Anglo-Saxon England". Proceedings of the Royal Society B: Biological Sciences 273(1601): 2651–2657. ^ Owen, James (19 July 2005). "Review of 'The Tribes of Britain'". National Geographic (Washington DC). ^ Oppenheimer, Stephen (October 2006). "Myths of British ancestry" at the Wayback Machine (archived 26 September 2006). Prospect (London). Retrieved 5 November 2010. ^ Costello, Ray (2001). Black Liverpool: The Early History of Britain's Oldest Black Community 1730–1918. Liverpool: Picton Press. 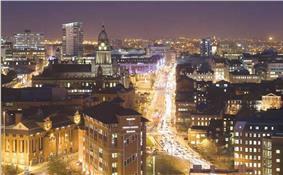 ^ "Culture and Ethnicity Differences in Liverpool – Chinese Community". Chambré Hardman Trust. Retrieved 26 October 2009. ^ Coleman, David; Compton, Paul; Salt, John (2002). "The demographic characteristics of immigrant populations", Council of Europe, p.505. ISBN 92-871-4974-7. ^ "Resident population estimates by ethnic group (percentages): London". Office for National Statistics. Retrieved 23 April 2008. ^ "Resident population estimates by ethnic group (percentages): Leicester". Office for National Statistics. Retrieved 23 April 2008. ^ "Census 2001 – Ethnicity and religion in England and Wales". Office for National Statistics. Retrieved 23 April 2008. ^ Loveys, Kate (22 June 2011). "One in four primary school pupils are from an ethnic minority and almost a million schoolchildren do not speak English as their first language". Daily Mail (London). Retrieved 28 June 2011. ^ Rogers, Simon (19 May 2011). "Non-white British population reaches 9.1 million". The Guardian (London). ^ Wallop, Harry (18 May 2011). "Population growth of last decade driven by non-white British". The Daily Telegraph (London). ^ "Official EU languages". European Commission. 8 May 2009. Retrieved 16 October 2009. ^ "Language Courses in New York". United Nations. 2006. Retrieved 29 November 2010. ^ "English language – Government, citizens and rights". ^ "Commonwealth Secretariat – UK". ^ a b c "Languages across Europe: United Kingdom". BBC. Retrieved 4 February 2013. ^ Booth, Robert (30 January 2013). "Polish becomes England's second language". ^ "Differences in estimates of Welsh Language Skills". Office for National Statistics. Archived from the original on 12 January 2010. Retrieved 30 December 2008. ^ Wynn Thomas, Peter (March 2007). "Welsh today". Voices. BBC. Retrieved 5 July 2011. ^ "Scotland's Census 2001 – Gaelic Report". General Register Office for Scotland. Retrieved 28 April 2013. ^ "'"Local UK languages 'taking off. BBC News. 12 February 2009. ^ Edwards, John R. (2010). Minority languages and group identity: cases and categories. John Benjamins. pp. 150–158. ^ Koch, John T. (2006). Celtic culture: a historical encyclopedia. ABC-CLIO. p. 696. ^ "Language Data – Scots". European Bureau for Lesser-Used Languages. Archived from the original on 23 June 2007. Retrieved 2 November 2008. ^ "The School Gate for parents in Wales". BBC. Retrieved 28 April 2013. ^ "UK Census 2001". National Office for Statistics. Archived from the original on 12 March 2007. Retrieved 22 April 2007. ^ "Religious Populations". Office for National Statistics. 11 October 2004. Archived from the original on 6 June 2011. ^ "United Kingdom: New Report Finds Only One in 10 Attend Church". News.adventist.org. 4 April 2007. Retrieved 12 September 2010. ^ Philby, Charlotte (12 December 2012). "Less religious and more ethnically diverse: Census reveals a picture of Britain today". The Independent (London). ^ Weller, Paul (2005). Time for a Change: Reconfiguring Religion, State, and Society. London: Continuum. pp. 79–80. ISBN 0567084876. ^ Richards, Eric (2004). Britannia's children: Emigration from England, Scotland, Wales and Ireland since 1600. London: Hambledon, p. 143. ISBN 978-1-85285-441-6. ^ "Short history of immigration". BBC. 2005. Retrieved 28 August 2010. ^ Muenz, Rainer (June 2006). "Europe: Population and Migration in 2005". Migration Policy Institute. Retrieved 2 April 2007. ^ "Immigration and births to non-British mothers pushes British population to record high". London Evening Standard. 21 August 2008. ^ Doughty, Steve; Slack, James (3 June 2008). "Third World migrants behind our 2.3m population boom". Daily Mail (London). ^ "Minister rejects migrant cap plan". BBC News. 8 September 2008. Retrieved 26 April 2011. ^ Johnston, Philip (5 January 2007). "Immigration 'far higher' than figures say". The Daily Telegraph (London). Retrieved 20 April 2007. ^ Travis, Alan (25 August 2011). "UK net migration rises 21%". The Guardian (London). ^ a b "Citizenship". Home Office. August 2011. Retrieved 24 October 2011. ^ Bamber, David (20 December 2000). "Migrant squad to operate in France". The Daily Telegraph (London). ^ "Settlement". Home Office. August 2011. Retrieved 24 October 2011. ^ "Births in England and Wales by parents' country of birth, 2011". Office for National Statistics. 30 August 2012. Retrieved 28 April 2013. ^ "Right of Union citizens and their family members to move and reside freely within the territory of the Member States". European Commission. Retrieved 28 April 2013. ^ Doward, Jamie; Temko, Ned (23 September 2007). "Home Office shuts the door on Bulgaria and Romania". The Observer (London). p. 2. Retrieved 23 August 2008. ^ Sumption, Madeleine; Somerville, Will (January 2010). The UK's new Europeans: Progress and challenges five years after accession. Policy Report (London: Equality and Human Rights Commission). p. 13. ^ Doward, Jamie; Rogers, Sam (17 January 2010). "Young, self-reliant, educated: portrait of UK's eastern European migrants". The Observer (London). Retrieved 19 January 2010. ^ "'"Migrants to UK 'returning home. BBC News. 8 September 2009. Retrieved 8 September 2009. ^ "UK sees shift in migration trend". BBC News. 27 May 2010. Retrieved 28 May 2010. ^ "Fresh Talent: Working in Scotland". London: UK Border Agency. Retrieved 30 October 2010. ^ Boxell, James (28 June 2010). "Tories begin consultation on cap for migrants". Financial Times (London). Retrieved 17 September 2010. ^ "Vince Cable: Migrant cap is hurting economy". The Guardian (London). Press Association. 17 September 2010. Retrieved 17 September 2010. ^ a b Sriskandarajah, Dhananjayan; Drew, Catherine (11 December 2006). "Brits Abroad: Mapping the scale and nature of British emigration". Institute for Public Policy Research. Retrieved 20 January 2007. ^ "Brits Abroad: world overview". BBC. n.d. Retrieved 20 April 2007. ^ Casciani, Dominic (11 December 2006). "'"5.5 m Britons 'opt to live abroad. BBC News. Retrieved 20 April 2007. ^ "Local Authorities". Department for Children, Schools and Families. Retrieved 21 December 2008. ^ Gordon, J.C.B. (1981). Verbal Deficit: A Critique. London: Croom Helm. p. 44 note 18. ^ MacLeod, Donald (9 November 2007). "Private school pupil numbers in decline". The Guardian (London). Retrieved 31 March 2010. ^ Frankel, Hannah (3 September 2010). "Is Oxbridge still a preserve of the posh?". TES (London). Retrieved 9 April 2013. ^ "World's top 100 universities 2013: their reputations ranked by Times Higher Education". The Guardian (London). 2013. Retrieved 23 October 2014. ^ "About SQA". Scottish Qualifications Authority. 10 April 2013. Retrieved 28 April 2013. ^ "About Learning and Teaching Scotland". Learning and Teaching Scotland. Retrieved 28 April 2013. ^ "Brain drain in reverse". Scotland Online Gateway. July 2002. Archived from the original on 4 December 2007. ^ CCEA. "About Us – What we do". Council for the Curriculum Examinations & Assessment. Retrieved 28 April 2013. ^ Arnett, George (28 August 2014). "Elitism in Britain - breakdown by profession". The Guardian: Datablog. ^ Haden, Angela; Campanini, Barbara, eds. (2000). The world health report 2000 – Health systems: improving performance. Geneva: World Health Organisation. ^ Huge contrasts' in devolved NHS"'". BBC News. 28 August 2008. ^ Fisher, Peter. "The NHS from Thatcher to Blair". NHS Consultants Association (International Association of Health Policy). The Budget ... was even more generous to the NHS than had been expected amounting to an annual rise of 7.4% above the rate of inflation for the next 5 years. This would take us to 9.4% of GDP spent on health ie around EU average. ^ "OECD Health Data 2009 – How Does the United Kingdom Compare". Paris: Organisation for Economic Co-operation and Development. Retrieved 28 April 2013. ^ Sheridan, Greg (15 May 2010). "Cameron has chance to make UK great again". The Australian (Sydney). Retrieved 20 May 2012. ^ Goldfarb, Jeffrey (10 May 2006). "Bookish Britain overtakes America as top publisher". RedOrbit (Texas). Reuters. 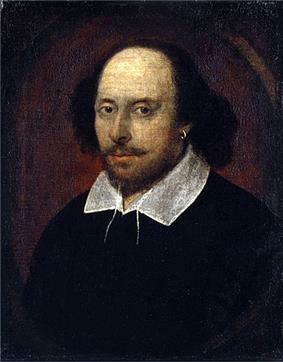 ^ "William Shakespeare (English author)". Britannica Online encyclopedia. Retrieved 26 February 2006. ^ MSN Encarta Encyclopedia article on Shakespeare. Archived from the original on 9 February 2006. Retrieved 26 February 2006. ^ William Shakespeare. Columbia Electronic Encyclopedia. Retrieved 26 February 2006. ^ "Mystery of Christie's success is solved". The Daily Telegraph (London). 19 December 2005. Retrieved 14 November 2010. ^ "All-Time Essential Comics". IGN. Retrieved 15 August 2013. ^ Johnston, Rich. To Double Up For Hardcover Collections"Before Watchmen". Bleeding Cool. 10 December 2012. Retrieved 15 August 2013. 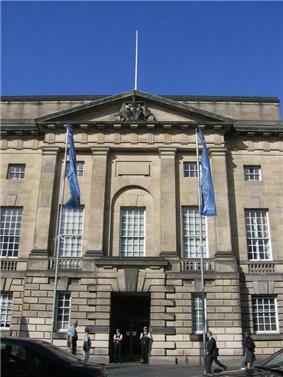 ^ "Edinburgh, UK appointed first UNESCO City of Literature". Unesco. 2004. Retrieved 28 April 2013. ^ "Early Welsh poetry". BBC Wales. Retrieved 29 December 2010. ^ Lang, Andrew (2003) . History of English Literature from Beowulf to Swinburne. Holicong, PA: Wildside Press. p. 42. ^ Swift, Jonathan; Fox, Christopher (1995). Gulliver's travels: complete, authoritative text with biographical and historical contexts, critical history, and essays from five contemporary critical perspectives. Basingstoke: Macmillan. p. 10. ^ "Bram Stoker." (PDF). The New York Times. 23 April 1912. Retrieved 1 January 2011. ^ a b "1960–1969". EMI Group. Retrieved 31 May 2008. ^ a b "Paul At Fifty". Time (New York). 8 June 1992. ^ "British Citizen by Act of Parliament: George Frideric Handel". UK Parliament. 20 July 2009. Retrieved 11 September 2009. ^ Andrews, John (14 April 2006). "Handel all'inglese". Playbill (New York). Retrieved 11 September 2009. ^ Citron, Stephen (2001). Sondheim and Lloyd-Webber: The new musical. London: Chatto & Windus. ^ "Beatles a big hit with downloads". Belfast Telegraph. 25 November 2010. Retrieved 16 May 2011. ^ "British rock legends get their own music title for PlayStation3 and PlayStation2" (Press release). ^ Khan, Urmee (17 July 2008). "Sir Elton John honoured in Ben and Jerry ice cream". The Daily Telegraph (London). ^ Alleyne, Richard (19 April 2008). "Rock group Led Zeppelin to reunite". The Daily Telegraph (London). Retrieved 31 March 2010. ^ Holton, Kate (17 January 2008). "Rolling Stones sign Universal album deal". Reuters. Retrieved 26 October 2008. ^ Walker, Tim (12 May 2008). "Jive talkin': Why Robin Gibb wants more respect for the Bee Gees". The Independent (London). Retrieved 26 October 2008. ^ "Brit awards winners list 2012: every winner since 1977". The Guardian (London). Retrieved 28 February 2012. ^ Corner, Lewis (16 February 2012). "Adele, Coldplay biggest-selling UK artists worldwide in 2011". Digital Spy. Retrieved 22 March 2012. ^ Hughes, Mark (14 January 2008). "A tale of two cities of culture: Liverpool vs Stavanger". The Independent (London). Retrieved 2 August 2009. ^ "Glasgow gets city of music honour". BBC News. 20 August 2008. Retrieved 2 August 2009. 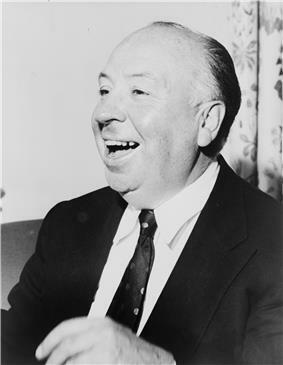 ^ "'"Vertigo is named 'greatest film of all time. BBC News. 2 August 2012. Retrieved 18 August 2012. ^ "Chaplin, Charles (1889–1977)". British Film Institute. Retrieved 25 January 2011. 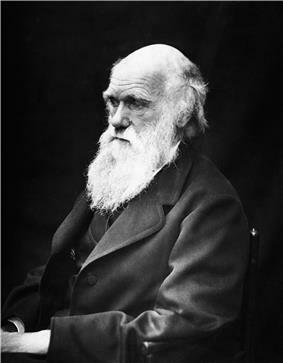 ^ "Scott, Sir Ridley (1937–)". British Film Institute. Retrieved 25 January 2011. ^ "Andrews, Julie (1935–)". British Film Institute. Retrieved 11 December 2010. ^ "Burton, Richard (1925–1984)". British Film Institute. Retrieved 11 December 2010. ^ "Caine, Michael (1933–)". British Film Institute. Retrieved 11 December 2010. ^ "Chaplin, Charles (1889–1977)". British Film Institute. Retrieved 11 December 2010. ^ "Connery, Sean (1930–)". British Film Institute. Retrieved 11 December 2010. ^ "Leigh, Vivien (1913–1967)". British Film Institute. Retrieved 11 December 2010. ^ "Niven, David (1910–1983)". British Film Institute. Retrieved 11 December 2010. ^ "Olivier, Laurence (1907–1989)". British Film Institute. Retrieved 11 December 2010. ^ "Sellers, Peter (1925–1980)". British Film Institute. Retrieved 11 December 2010. ^ "Winslet, Kate (1975–)". British Film Institute. Retrieved 11 December 2010. ^ "Harry Potter becomes highest-grossing film franchise". The Guardian (London). 11 September 2007. Retrieved 2 November 2010. ^ "History of Ealing Studios". Ealing Studios. Retrieved 5 June 2010. ^ a b "UK film – the vital statistics". UK Film Council. Retrieved 22 October 2010. ^ "The BFI 100". British Film Institute. 6 September 2006. Archived from the original on 1 April 2011. ^ "Baftas fuel Oscars race". BBC News. 26 February 2001. Retrieved 14 February 2011. ^ a b "BBC: World's largest broadcaster & Most trusted media brand". Media Newsline. Archived from the original on 5 October 2010. Retrieved 23 September 2010. ^ a b "Digital licence". Prospect. Retrieved 23 September 2010. ^ a b "About the BBC – What is the BBC". BBC Online. Retrieved 23 September 2010. ^ Newswire7 (13 August 2009). "BBC: World's largest broadcaster & Most trusted media brand". Media Newsline. Archived from the original on 17 June 2011. ^ "TV Licence Fee: facts & figures". 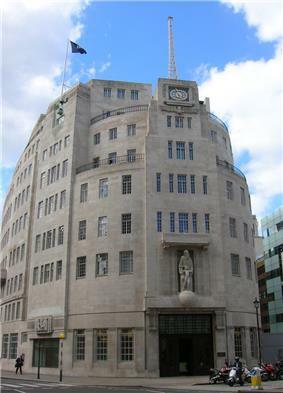 BBC Press Office. April 2010. Archived from the original on 17 June 2011. ^ "Publications & Policies: The History of ITV". ITV.com. Archived from the original on 17 June 2011. ^ "Publishing". News Corporation. Archived from the original on 17 June 2011. ^ "Direct Broadcast Satellite Television". News Corporation. Archived from the original on 17 June 2011. ^ "Publishing". Department of Culture, Media and Sport. Archived from the original on 17 June 2011. ^ "Social Trends: Lifestyles and social participation". Office for National Statistics. 16 February 2010. Archived from the original on 17 June 2011. ^ "Top 20 countries with the highest number of Internet users". Internet World Stats. Archived from the original on 17 June 2011. ^ Fieser, James, ed. (2000). A bibliography of Scottish common sense philosophy: Sources and origins. Bristol: Thoemmes Press. Retrieved 17 December 2010. ^ Palmer, Michael (1999). Moral Problems in Medicine: A Practical Coursebook. Cambridge: Lutterworth Press. p. 66. ^ Scarre, Geoffrey (1995). Utilitarianism. London: Routledge. p. 82. ^ Gysin, Christian (9 March 2007). 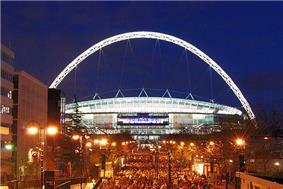 "Wembley kick-off: Stadium is ready and England play first game in fortnight". Daily Mail (London). Retrieved 19 March 2007. ^ "'"Rugby Union 'Britain's Second Most Popular Sport. Ipsos-Mori. 22 December 2003. Retrieved 28 April 2013. ^ Ebner, Sarah (2 July 2013). "History and time are key to power of football, says Premier League chief". The Times (London). Retrieved 30 November 2013. ^ "Why is there no GB Olympics football team?". BBC Sport. 5 August 2008. Retrieved 31 December 2010. ^ "Blatter against British 2012 team". BBC News. 9 March 2008. Retrieved 2 April 2008. ^ "About ECB". England and Wales Cricket Board. n.d. Retrieved 28 April 2013. ^ McLaughlin, Martyn (4 August 2009). "Howzat happen? England fields a Gaelic-speaking Scotsman in Ashes". The Scotsman (Edinburgh). Retrieved 30 December 2010. ^ "Uncapped Joyce wins Ashes call up". BBC Sport. 15 November 2006. Retrieved 30 December 2010. ^ "Glamorgan". BBC South East Wales. August 2009. Retrieved 30 December 2010. ^ Ardener, Shirley (2007). Professional identities: policy and practice in business and bureaucracy. New York: Berghahn. p. 27. ^ "Official Website of Rugby League World Cup 2008". Archived from the original on 16 October 2007. ^ Louw, Jaco; Nesbit, Derrick (2008). The Girlfriends Guide to Rugby. Johannesburg: South Publishers. ^ "Triple Crown". RBS 6 Nations. Retrieved 6 March 2011. ^ "Tracking the Field". Ipsos MORI. Archived from the original on 5 February 2009. Retrieved 17 October 2008. ^ Chowdhury, Saj (22 January 2007). "China in Ding's hands". BBC Sport. Retrieved 2 January 2011. ^ "Lawn Tennis and Major T.Gem". 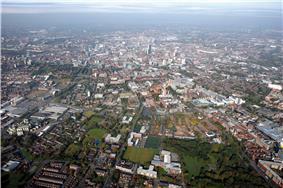 The Birmingham Civic Society. Archived from the original on 18 August 2011. Retrieved 31 December 2010. ^ Gould, Joe (10 April 2007). "The ancient Irish sport of hurling catches on in America". Columbia News Service (Columbia Journalism School). Retrieved 17 May 2011. ^ "Shinty". Scottishsport.co.uk. Retrieved 28 April 2013. ^ "Welsh dragon call for Union flag". BBC News. 27 November 2007. Retrieved 17 October 2008. ^ "Britannia on British Coins". Chard. Retrieved 25 June 2006. ^ Baker, Steve (2001). Picturing the Beast. University of Illinois Press. p. 52. ^ Under the Council of Europe's European Charter for Regional or Minority Languages, Scots, Ulster-Scots, Welsh, Cornish, Irish and Scottish Gaelic, are officially recognised as regional or minority languages by the British government for the purposes of the Charter. See also Languages of the United Kingdom. ^ Although Northern Ireland is the only part of the UK that shares a land border with another state, two of its Overseas Territories also share land borders with other states. Gibraltar shares a border with Spain, while the Sovereign Base Areas of Akrotiri and Dhekelia share borders with the Republic of Cyprus, Turkish Republic of Northern Cyprus and UN buffer zone separating the two Cypriot polities. ^ The Anglo-Irish Treaty was signed on 6 December 1921 to resolve the Irish War of Independence. Effective one year later, it established the Irish Free State as a separate dominion within the Commonwealth. The UK's current name was adopted in 1927 to reflect the change. ^ Compare to section 1 of both of the 1800 Acts of Union which reads: the Kingdoms of Great Britain and Ireland shall...be united into one Kingdom, by the Name of "The United Kingdom of Great Britain and Ireland"
^ New Zealand, Israel and San Marino are the other countries with uncodified constitutions. ^ Since the early twentieth century the prime minister has held the office of First Lord of the Treasury, and in recent decades has also held the office of Minister for the Civil Service. ^ Sinn Féin, an Irish republican party, also contests elections in the Republic of Ireland. Snooker is one of the UK's popular sporting exports, with the world championships held annually in Sheffield. The modern game of lawn tennis first originated in the city of Birmingham between 1859 and 1865. 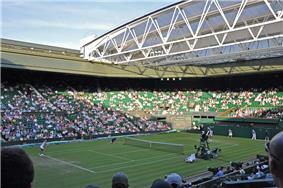 The Championships, Wimbledon are international tennis events held in Wimbledon in south London every summer and are regarded as the most prestigious event of the global tennis calendar. In Northern Ireland Gaelic football and hurling are popular team sports, both in terms of participation and spectating, and Irish expatriates in the UK and the US also play them. Shinty (or camanachd) is popular in the Scottish Highlands. Golf is the sixth-most popular sport, by participation, in the UK. Although The Royal and Ancient Golf Club of St Andrews in Scotland is the sport's home course, the world's oldest golf course is actually Musselburgh Links' Old Golf Course. The UK is closely associated with motorsport. Many teams and drivers in Formula One (F1) are based in the UK, and the country has won more drivers' and constructors' titles than any other. The UK hosted the very first F1 Grand Prix in 1950 at Silverstone, the current location of the British Grand Prix held each year in July. The country also hosts legs of the Grand Prix motorcycle racing, World Rally Championship and FIA World Endurance Championship. The premier national auto racing event is the British Touring Car Championship (BTCC). Motorcycle road racing has a long tradition with races such as the Isle of Man TT and the North West 200. Rugby league is a popular sport in some regions of the UK. It originated in Huddersfield and is generally played in Northern England. A single 'Great Britain Lions' team had competed in the Rugby League World Cup and Test match games, but this changed in 2008 when England, Scotland and Ireland competed as separate nations. Great Britain is still being retained as the full national team for Ashes tours against Australia, New Zealand and France. 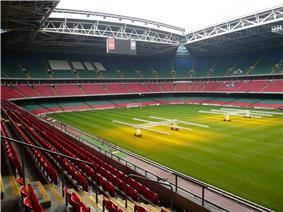 Super League is the highest level of professional rugby league in the UK and Europe. It consists of 11 teams from Northern England, 1 from London, 1 from Wales and 1 from France. The United Kingdom is famous for the tradition of 'British Empiricism', a branch of the philosophy of knowledge that states that only knowledge verified by experience is valid, and 'Scottish Philosophy', sometimes referred to as the 'David Hume; while Dugald Stewart, Thomas Reid and William Hamilton were major exponents of the Scottish "common sense" school. Two Britons are also notable for a theory of moral philosophy utilitarianism, first used by Jeremy Bentham and later by John Stuart Mill in his short work Utilitarianism. Other eminent philosophers from the UK and the unions and countries that preceded it include Duns Scotus, John Lilburne, Mary Wollstonecraft, Sir Francis Bacon, Adam Smith, Thomas Hobbes, William of Ockham, Bertrand Russell and A.J. "Freddie" Ayer. Foreign-born philosophers who settled in the UK include Isaiah Berlin, Karl Marx, Karl Popper and Ludwig Wittgenstein. The University of the Arts London, which includes the Central Saint Martins College of Art and Design and Chelsea College of Art and Design; Goldsmiths, University of London; the Slade School of Fine Art (part of University College London); the Glasgow School of Art; the Royal College of Art; and The Ruskin School of Drawing and Fine Art (part of the University of Oxford). The Courtauld Institute of Art is a leading centre for the teaching of the history of art. Important art galleries in the United Kingdom include the National Gallery, National Portrait Gallery, Tate Britain and Tate Modern (the most-visited modern art gallery in the world, with around 4.7 million visitors per year). 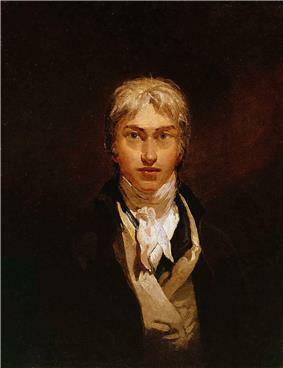 The history of British visual art forms part of abstract artist Howard Hodgkin; and the sculptors Antony Gormley, Anish Kapoor and Henry Moore. During the late 1980s and 1990s the Saatchi Gallery in London helped to bring to public attention a group of multi-genre artists who would become known as the "Young British Artists": Damien Hirst, Chris Ofili, Rachel Whiteread, Tracey Emin, Mark Wallinger, Steve McQueen, Sam Taylor-Wood and the Chapman Brothers are among the better-known members of this loosely affiliated movement. Various styles of music are popular in the UK from the indigenous naturalised British citizen and some of his best works, such as Messiah, were written in the English language. Andrew Lloyd Webber has achieved enormous worldwide commercial success and is a prolific composer of musical theatre, works which have dominated London's West End for a number of years and have travelled to Broadway in New York. The Beatles have international sales of over one billion units and are the biggest-selling and most influential band in the history of popular music. Other prominent British contributors to have influenced popular music over the last 50 years include; The Rolling Stones, Led Zeppelin, Pink Floyd, Queen, the Bee Gees, and Elton John, all of whom have world wide record sales of 200 million or more. The Brit Awards are the BPI's annual music awards, and some of the British recipients of the Outstanding Contribution to Music award include; The Who, David Bowie, Eric Clapton, Rod Stewart and The Police. More recent UK music acts that have had international success include Coldplay, Radiohead, Oasis, Spice Girls, Robbie Williams, Amy Winehouse and Adele. The Beatles are the most commercially successful and critically acclaimed band in the history of music, selling over a billion records internationally. Authors of other nationalities, particularly from Joseph Conrad, T.S. Eliot, Ezra Pound and more recently British authors born abroad such as Kazuo Ishiguro and Sir Salman Rushdie. Britain's oldest known poem, Y Gododdin, was composed in Yr Hen Ogledd (The Old North), most likely in the late 6th century. It was written in Cumbric or Old Welsh and contains the earliest known reference to King Arthur. From around the seventh century, the connection between Wales and the Old North was lost, and the focus of Welsh-language culture shifted to Wales, where Arthurian legend was further developed by Geoffrey of Monmouth. Wales's most celebrated medieval poet, Dafydd ap Gwilym (fl.1320–1370), composed poetry on themes including nature, religion and especially love. He is widely regarded as one of the greatest European poets of his age. Until the late 19th century the majority of Welsh literature was in Welsh and much of the prose was religious in character. Daniel Owen is credited as the first Welsh-language novelist, publishing Rhys Lewis in 1885. The best-known of the Anglo-Welsh poets are both Thomases. Dylan Thomas became famous on both sides of the Atlantic in the mid-20th century. He is remembered for his poetry – his "Do not go gentle into that good night; Rage, rage against the dying of the light." is one of the most quoted couplets of English language verse – and for his 'play for voices', Under Milk Wood. The influential Church in Wales 'poet-priest' and Welsh nationalist R. S. Thomas was nominated for the Nobel Prize in Literature in 1996. Leading Welsh novelists of the twentieth century include Richard Llewellyn and Kate Roberts. Notable pre-modern and early-modern English writers include W. Somerset Maugham and Graham Greene; the crime writer Agatha Christie (the best-selling novelist of all time); Ian Fleming (the creator of James Bond); the poets T.S. Eliot, Philip Larkin and Ted Hughes; the fantasy writers J. R. R. Tolkien, C. S. Lewis and J. K. Rowling; the graphic novelist Alan Moore, whose novel Watchmen is often cited by critics as comic's greatest series and graphic novel and one of the best-selling graphic novels ever published. The culture of the United Kingdom has been influenced by many factors including: the nation's island status; its history as a western liberal democracy and a major power; as well as being a political union of four countries with each preserving elements of distinctive traditions, customs and symbolism. As a result of the British Empire, British influence can be observed in the language, culture and legal systems of many of its former colonies including Australia, Canada, India, Ireland, New Zealand, South Africa and the United States. The substantial cultural influence of the United Kingdom has led it to be described as a "cultural superpower." The UK spends around 8.4 per cent of its gross domestic product on healthcare, which is 0.5 percentage points below the  Since 1979 expenditure on healthcare has been increased significantly to bring it closer to the European Union average. Ethnic diversity varies significantly across the UK. 30.4% of London's population and 37.4% of Leicester's was estimated to be non-white in 2005, whereas less than 5% of the populations of North East England, Wales and the South West were from ethnic minorities, according to the 2001 census. In 2011, 26.5% of primary and 22.2% of secondary pupils at state schools in England were members of an ethnic minority. Since 1948 substantial immigration from Africa, the British Empire. Migration from new EU member states in Central and Eastern Europe since 2004 has resulted in growth in these population groups but, as of 2008, the trend is reversing. Many of these migrants are returning to their home countries, leaving the size of these groups unknown. In 2011, 86% of the population identified themselves as White, meaning 12.9% of the UK population identify themselves as of mixed ethnic minority. Historically, indigenous British people were thought to be descended from the various ethnic groups that settled there before the 11th century: the Celts, Romans, Anglo-Saxons, Norse and the Normans. Welsh people could be the oldest ethnic group in the UK. A 2006 genetic study shows that more than 50 per cent of England's gene pool contains Germanic Y chromosomes. Another 2005 genetic analysis indicates that "about 75 per cent of the traceable ancestors of the modern British population had arrived in the British isles by about 6,200 years ago, at the start of the British Neolithic or Stone Age", and that the British broadly share a common ancestry with the Basque people. England's population in 2011 was found to be 53 million. It is one of the most densely populated countries in the world, with 383 people resident per square kilometre in mid-2003, with a particular concentration in London and the south-east. The 2011 census put Scotland's population at 5.3 million, Wales at 3.06 million and Northern Ireland at 1.81 million. In percentage terms England has had the fastest growing population of any country of the UK in the period from 2001 to 2011, with an increase of 7.9%. In 2009, the UK produced 1.5 million barrels per day (bbl/d) of oil and consumed 1.7 million bbl/d. Production is now in decline and the UK has been a net importer of oil since 2005. 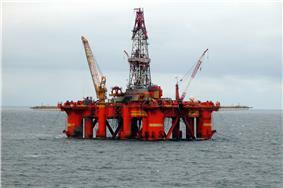 In 2010 the UK had around 3.1 billion barrels of proven crude oil reserves, the largest of any EU member state. In 2009, 66.5% of the UK's oil supply was imported. In 2006, the UK was the world's ninth-largest consumer of energy and the 15th-largest producer. The UK is home to a number of large energy companies, including two of the six oil and gas "
The UK has a railway network of 10,072 miles (16,209 km) in Great Britain and 189 miles (304 km) in Northern Ireland. Railways in Northern Ireland are operated by NI Railways, a subsidiary of state-owned Translink. In Great Britain, the British Rail network was privatised between 1994 and 1997. Network Rail owns and manages most of the fixed assets (tracks, signals etc.). About 20 privately owned (and foreign state-owned railways including: Deutsche Bahn; SNCF and Nederlandse Spoorwegen) Train Operating Companies (including state-owned East Coast), operate passenger trains and carry over 18,000 passenger trains daily. There are also some 1,000 freight trains in daily operation. The UK government is to spend £30 billion on a new high-speed railway line, HS2, to be operational by 2025. Crossrail, under construction in London, Is Europe's largest construction project with a £15 billion projected cost. Scientific research and development remains important in British universities, with many establishing science parks to facilitate production and co-operation with industry. Between 2004 and 2008 the UK produced 7% of the world's scientific research papers and had an 8% share of scientific citations, the third and second highest in the world (after the United States and China, and the United States, respectively). Scientific journals produced in the UK include Nature, the British Medical Journal and The Lancet. England and Scotland were leading centres of the Scientific Revolution from the 17th century and the United Kingdom led the Industrial Revolution from the 18th century, and has continued to produce scientists and engineers credited with important advances. Major theorists from the 17th and 18th centuries include Isaac Newton, whose laws of motion and illumination of gravity have been seen as a keystone of modern science; from the 19th century Charles Darwin, whose theory of evolution by natural selection was fundamental to the development of modern biology, and James Clerk Maxwell, who formulated classical electromagnetic theory; and more recently Stephen Hawking, who has advanced major theories in the fields of cosmology, quantum gravity and the investigation of black holes. Major scientific discoveries from the 18th century include hydrogen by Henry Cavendish; from the 20th century penicillin by Alexander Fleming, and the structure of DNA, by Francis Crick and others. Major engineering projects and applications by people from the UK in the 18th century include the steam locomotive, developed by Richard Trevithick and Andrew Vivian; from the 19th century the electric motor by Michael Faraday, the incandescent light bulb by Joseph Swan, and the first practical telephone, patented by Alexander Graham Bell; and in the 20th century the world's first working television system by John Logie Baird and others, the jet engine by Frank Whittle, the basis of the modern computer by Alan Turing, and the World Wide Web by Tim Berners-Lee. BAE Systems - plays a critical role on some of the world's biggest defence aerospace projects. The company makes large sections of the Typhoon Eurofighter at its sub-assembly plant in Salmesbury and assembles the aircraft for the RAF at its Warton Plant, near Preston. It is also a principal subcontractor on the F35 Joint Strike Fighter - the world's largest single defence project - for which it designs and manufactures a range of components including the aft fuselage, vertical and horizontal tail and wing tips and fuel system. As well as this it manufactures the Hawk, the world's most successful jet training aircraft. Airbus UK also manufactures the wings for the A400m military transporter. Rolls-Royce, is the world's second-largest aero-engine manufacturer. Its engines power more than 30 types of commercial aircraft and it has more than 30,000 engines currently in service across both the civil and defence sectors. Rolls-Royce is forecast to have more than 50% of the widebody market share by 2016, ahead of General Electric. Agusta Westland designs and manufactures complete helicopters in the UK. The aerospace industry of the UK is the second- or third-largest national aerospace industry in the world depending upon the method of measurement and has an annual turnover of around £20 billion. 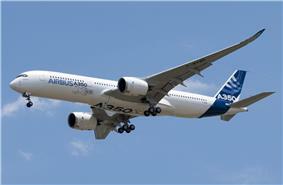 The wings for the Airbus A380 and the A350 XWB are designed and manufactured at Airbus UK's world-leading Broughton facility, whilst over a quarter of the value of the Boeing 787 comes from UK manufacturers including Eaton (fuel subsystem pumps), Messier-Bugatti-Dowty (the landing gear) and Rolls-Royce (the engines). Other key names include GKN Aerospace – an expert in metallic and composite aerostructures that's involved in almost every civil and military fixed and rotary wing aircraft in production and development today. The UK service sector makes up around 73% of GDP. London is one of the three "command centres" of the global economy (alongside New York City and Tokyo), it is the world's largest financial centre alongside New York, and it has the largest city GDP in Europe. Edinburgh is also one of the largest financial centres in Europe. Tourism is very important to the British economy and, with over 27 million tourists arriving in 2004, the United Kingdom is ranked as the sixth major tourist destination in the world and London has the most international visitors of any city in the world. The creative industries accounted for 7% GVA in 2005 and grew at an average of 6% per annum between 1997 and 2005. The UK has a partially regulated market economy. Based on market exchange rates the UK is today the sixth-largest economy in the world and the third-largest in Europe after Germany and France, having fallen behind France for the first time in over a decade in 2008. HM Treasury, led by the Chancellor of the Exchequer, is responsible for developing and executing the British government's public finance policy and economic policy. The Bank of England is the UK's central bank and is responsible for issuing notes and coins in the nation's currency, the pound sterling. Banks in Scotland and Northern Ireland retain the right to issue their own notes, subject to retaining enough Bank of England notes in reserve to cover their issue. Pound sterling is the world's third-largest reserve currency (after the US Dollar and the Euro). 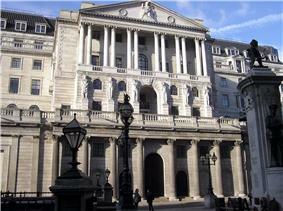 Since 1997 the Bank of England's Monetary Policy Committee, headed by the Governor of the Bank of England, has been responsible for setting interest rates at the level necessary to achieve the overall inflation target for the economy that is set by the Chancellor each year. The British armed forces played a key role in establishing the British Empire as the dominant world power in the 18th, 19th and early 20th centuries. Throughout its unique history the British forces have seen action in a number of major wars, such as the Seven Years' War, the Napoleonic Wars, the Crimean War, World War I and World War II—as well as many colonial conflicts. By emerging victorious from such conflicts, Britain has often been able to decisively influence world events. Since the end of the British Empire, the UK has nonetheless remained a major military power. Following the end of the Cold War, defence policy has a stated assumption that "the most demanding operations" will be undertaken as part of a coalition. Setting aside the intervention in Sierra Leone, recent UK military operations in Bosnia, Kosovo, Afghanistan, Iraq and, most recently, Libya, have followed this approach. The last time the British military fought alone was the Falklands War of 1982. The armed forces of the United Kingdom—officially, Her Majesty's Armed Forces—consist of three professional service branches: the Royal Navy and Royal Marines (forming the Naval Service), the British Army and the Royal Air Force. The forces are managed by the Ministry of Defence and controlled by the Defence Council, chaired by the Secretary of State for Defence. 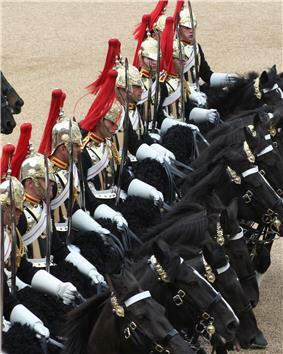 The Commander-in-Chief is the British monarch, Elizabeth II, to whom members of the forces swear an oath of allegiance. The Armed Forces are charged with protecting the UK and its overseas territories, promoting the UK's global security interests and supporting international peacekeeping efforts. They are active and regular participants in NATO, including the Allied Rapid Reaction Corps, as well as the Five Power Defence Arrangements, RIMPAC and other worldwide coalition operations. Overseas garrisons and facilities are maintained in Ascension Island, Belize, Brunei, Canada, Cyprus, Diego Garcia, the Falkland Islands, Germany, Gibraltar, Kenya and Qatar. The UK is a OSCE, and is a member state of the European Union. The UK is said to have a "Special Relationship" with the United States and a close partnership with France—the "Entente cordiale"—and shares nuclear weapons technology with both countries. The UK is also closely linked with the Republic of Ireland; the two countries share a Common Travel Area and co-operate through the British-Irish Intergovernmental Conference and the British-Irish Council. Britain's global presence and influence is further amplified through its trading relations, foreign investments, official development assistance and military engagements. 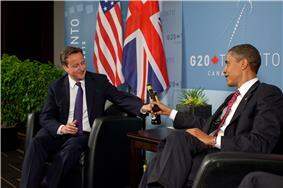 The Prime Minister of the United Kingdom, David Cameron, and the President of the United States, Barack Obama, during the 2010 G-20 Toronto summit. Crime in England and Wales increased in the period between 1981 and 1995, though since that peak there has been an overall fall of 48% in crime from 1995 to 2007/08, according to crime statistics. The prison population of England and Wales has almost doubled over the same period, to over 80,000, giving England and Wales the highest rate of incarceration in Western Europe at 147 per 100,000. Her Majesty's Prison Service, which reports to the Ministry of Justice, manages most of the prisons within England and Wales. Crime in Scotland fell to its lowest recorded level for 32 years in 2009/10, falling by ten per cent. At the same time Scotland's prison population, at over 8,000, is at record levels and well above design capacity. The Scottish Prison Service, which reports to the Cabinet Secretary for Justice, manages Scotland's prisons. The United Kingdom does not have a single legal system, as Article 19 of the 1706 Treaty of Union provided for the continuation of Scotland's separate legal system. Today the UK has three distinct systems of law: English law, Northern Ireland law and Scots law. A new Supreme Court of the United Kingdom came into being in October 2009 to replace the Appellate Committee of the House of Lords. The Judicial Committee of the Privy Council, including the same members as the Supreme Court, is the highest court of appeal for several independent Commonwealth countries, the British Overseas Territories and the Crown Dependencies. The UK's three major political parties are the Conservative Party (Tories), the Labour Party and the Liberal Democrats, representing the British traditions of conservatism, socialism and social liberalism, respectively. During the 2010 general election these three parties won 622 out of 650 seats available in the House of Commons. Most of the remaining seats were won by parties that contest elections only in one part of the UK: the Scottish National Party (Scotland only); Plaid Cymru (Wales only); and the Alliance Party, Democratic Unionist Party, Social Democratic and Labour Party and Sinn Féin (Northern Ireland only[nb 10]). In accordance with party policy, no elected Sinn Féin members of parliament have ever attended the House of Commons to speak on behalf of their constituents because of the requirement to take an oath of allegiance to the monarch. The cabinet is traditionally drawn from members of a prime minister's party or coalition and mostly from the House of Commons but always from both legislative houses, the cabinet being responsible to both. Executive power is exercised by the prime minister and cabinet, all of whom are sworn into the Privy Council of the United Kingdom, and become Ministers of the Crown. The current Prime Minister is David Cameron, who has been in office since 11 May 2010. Cameron is the leader of the Conservative Party and heads a coalition with the Liberal Democrats. For elections to the House of Commons, the UK is currently divided into 650 constituencies, each electing a single member of parliament (MP) by simple plurality. General elections are called by the monarch when the prime minister so advises. The Parliament Acts 1911 and 1949 require that a new election must be called no later than five years after the previous general election. The position of prime minister,[nb 9] the UK's head of government, belongs to the person most likely to command the confidence of the House of Commons; this individual is typically the leader of the political party or coalition of parties that holds the largest number of seats in that chamber. The prime minister chooses a cabinet and they are formally appointed by the monarch to form Her Majesty's Government. By convention, the Queen respects the prime minister's decisions of government. The United Kingdom is a unitary state under a constitutional monarchy. 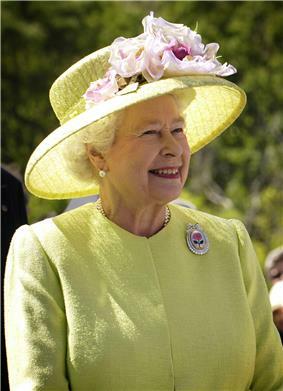 Queen Elizabeth II is the head of state of the UK as well as monarch of fifteen other independent Commonwealth countries. The monarch has "the right to be consulted, the right to encourage, and the right to warn". The United Kingdom is one of only four countries in the world to have an uncodified constitution. [nb 8] The Constitution of the United Kingdom thus consists mostly of a collection of disparate written sources, including statutes, judge-made case law and international treaties, together with constitutional conventions. As there is no technical difference between ordinary statutes and "constitutional law", the UK Parliament can perform "constitutional reform" simply by passing Acts of Parliament, and thus has the political power to change or abolish almost any written or unwritten element of the constitution. However, no Parliament can pass laws that future Parliaments cannot change. The fourteen British Overseas Territories are: Sovereign Base Areas on Cyprus. British claims in Antarctica are not universally recognised. Collectively Britain's overseas territories encompass an approximate land area of 1,727,570 square kilometres (667,018 sq mi) and a population of approximately 260,000 people. They are the remnants of the British Empire and several have specifically voted to remain British territories (Bermuda in 1995, Gibraltar in 2002 and the Falkland Islands in 2013). The next local elections were postponed until 2016 to facilitate this. 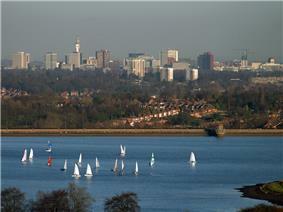 On 13 March 2008 the executive agreed on proposals to create 11 new councils and replace the present system.